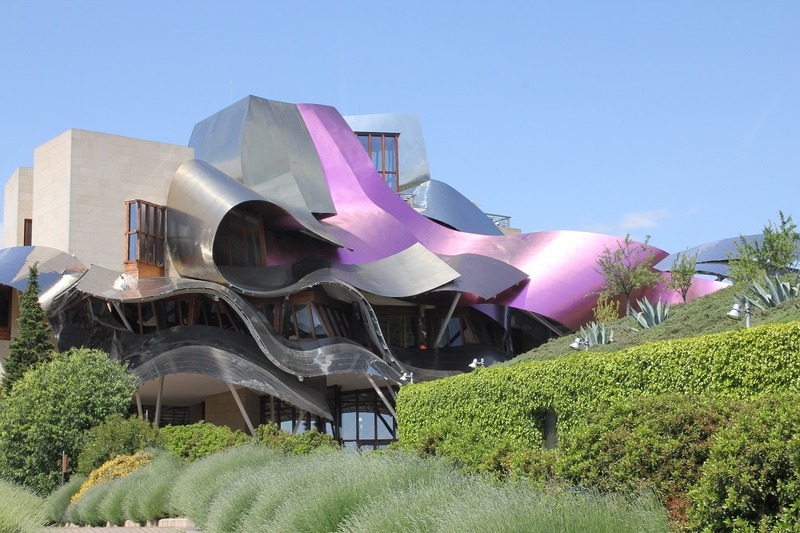 The Frank Gehry designed hotel and Michelin-starred restaurant at Marques de Riscal winery. Apologies are in order for the lack of blog posts recently. Our European tour continues but Spain was a whirlwind of constant activity leaving no time to write. France gave me a few days of welcome downtime to prepare for the food aesthetics conference in Wroclaw, Poland which was wonderful but demanded my full attention. We are now enjoying the stunning architecture of Prague where I may find the time to reflect on the flurry of flavors that have passed my lips these past few weeks. To be honest, I find the activity of documenting travel impressions to be incompatible with the need to be fully present when having the experience—I just don’t have the journalist’s gene that seamlessly integrates documentation and enjoyment. When I last posted we were leaving the Spanish wine region of Ribera Del Duero heading toward Rioja. If you spend much time seeking quality wine at good prices you know premium wine from established Spanish wine regions usually offers reliable value. 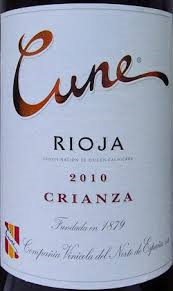 The reason for this consistent quality can in part be traced to the aging requirements for Rioja (and Ribera) wines. The lowest premium quality level, Crianza, must see at least 1 year in barrel and 2 years of total ageing before release. The Reserva level requires 1 year in barrel and 3 yrs of total ageing; Gran Reserva gets 2 years in barrel and 5 years of age. The benefit to consumers is a carefully aged wine ready to drink upon release, which takes a lot the guess work out of buying and holding wine for a public that drinks most wine shortly after purchase. 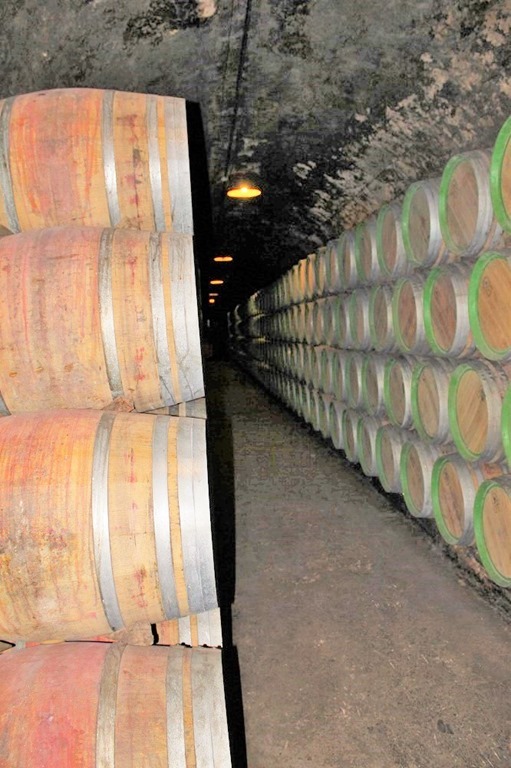 The drawback is that Spanish wineries must spend a lot of money on oak barrels and storage facilities. 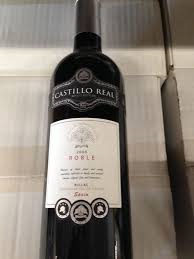 But if Spanish wines are to maintain market share they must keep prices low. The solution is high production. The margin on each bottle sold is small; you have to sell a lot of bottles to make a profit. The Spanish wineries we visited, especially Protos and Marques de Riscal, were enormous with most of the space devoted to various stages of the aging process—barrels and glass in underground caves as far as the eye can see. We also saw lots of high-tech machinery such as the optical sorter at Marques de Riscal and Baigorri’s underground, 5-level gravity flow facility. 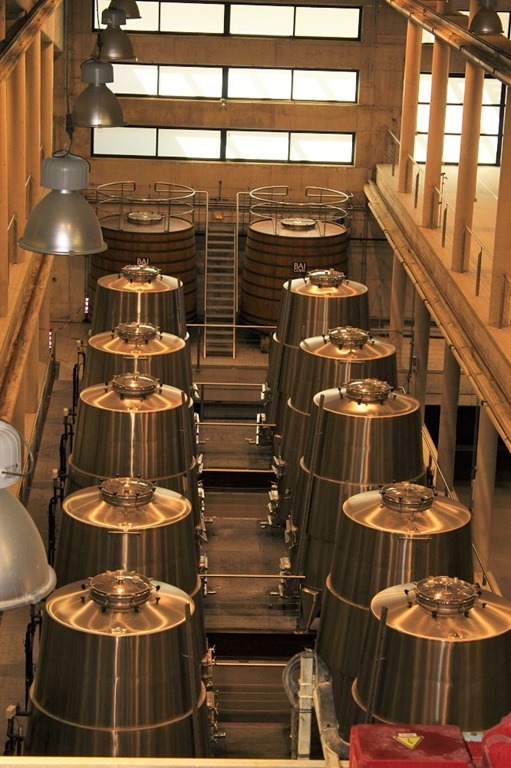 Traditional Spanish winemaking is industrial winemaking at its best. But there are signs of change. Many of the better wines I tasted lacked the traditional vanilla and dill pickle flavors from American oak reflecting the increasing use of French oak. Recent vintages are also more fruit forward with slower fermentation, careful extraction of color and tannins and more freshness exposed through a quieter oak treatment. 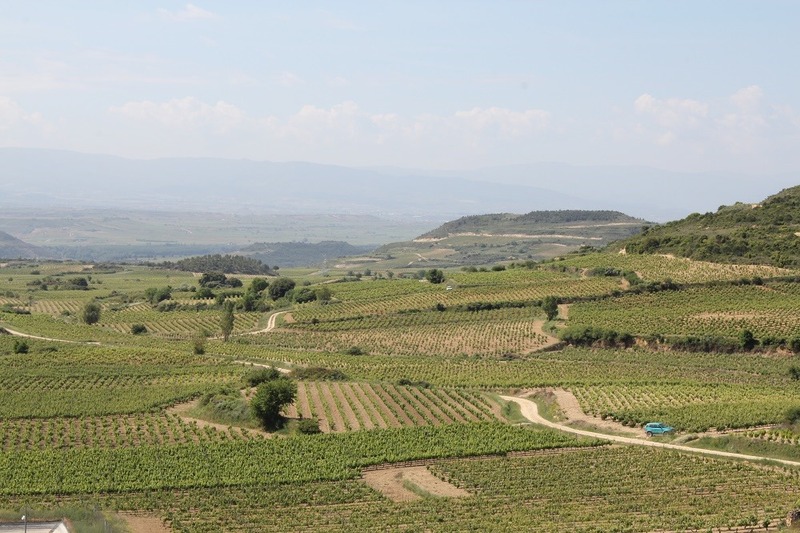 And recently (2003), Spanish wine laws have changed to create a category, DO Pago, to indicate a wine in which grapes are sourced entirely from a single estate, reflecting an increasing desire to demonstrate commitment to terroir. Change and innovation are constant buzzwords here. I suspect that going forward, the Crianza level will not depart much from tradition. Crianza Rioja is the wine of choice for the tapas bar culture because it’s inexpensive and the earthy flavors pair well with everything from charcoal grilled pork to mushrooms and garlic. But at the Reserva and Gran Reserva level bigger wines with more overt fruit characteristics are on the increasingly common. What were the best wines we tasted? Baigorri was impressive throughout their whole lineup and the stunning lunch, with several courses paired with their wines, showcased them well. The panoramic view of the valley didn’t harm the overall positive impression. But as we moved into the hot, dry region of Aragon, the visit to Alto Moncayo in Campo de Borja was the show stopper. Winemaker Chris Ringland is a bit of a rock star in the wine world earning several 100 Pt. scores for his flagship Alto Moncayo bottling as well as being celebrated for the Monestrell-based Clio wines and his own Australian brand of Shiraz. He had finished the final blend of his Alto Moncayo 2014 the morning of our visit and pulled barrel samples for us to taste. I suppose being the first consumers to taste this wine is some sort of distinction. At any rate, this is the richest, most complex Garnacha (from 40-70 year-old vines) you are likely to taste even before it undergoes bottle aging. He uses a mix of 100% new French and American oak for 24 months.That is a lot of oak—so much for the earlier referenced restraint. But the fruit from these old vines holds up well and these wines emphatically express the paradox of power and elegance, the mark of all great wines. It seems Spain is all-in on the trend toward highly extracted, powerful wines that will attract high scores from critics. But will they lose their distinctiveness in the process? As usual, Spain comes through with great bargains. This Garnacha is made from 60-80 year old vines perched 3000 feet above sea level and dry-farmed despite the sparse rainfall in this region. This is dark in the glass, unusual for Garnacha. The nose gives ripe blackberry and kirsch aromas that sit under a layer of raisin and loamy earth, with mint chocolate and licorice highlights. Intriguing and complex but the alcohol burn is distracting. The palate brings in some cola and more licorice while maintaining the raisin theme. This lacks the structure of a more expensive wine. But despite the low acid, the wine doesn’t feel flabby. The texture is bristly without being rough and the tannins although soft and fine grained are persistent enough to provide some interest on the cola and licorice inflected finish. The development on the palate is linear but has good flavor intensity. A great value for a everyday wine. Wild, wild Monastrell (Mourvedre if you’re French). If you like structured wines with a bit of toughness (I do) you will like this. There is no concession to the soft and sweet crowd here. A nose of savory herbs over dark and red fruits, blackberry with cranberry highlights, the slightest hint of a salty top note competes for attention with mild vanilla notes. There are plenty of intriguing aromas here right out of the bottle though it turns simple with time in the glass. Intense fruit and coffee on the palate with some nice acidity, this makes a good food wine to accompany strong flavors. It is just short of full bodied; the acidity gives the texture a lift so it feels light on its feet. The tannins are sandy which along with some herbal bitterness on the finish gives the wine a rustic edge. Obviously held back from immediate release to soften the tannins. An honest wine with great price to quality ratio. Bullas is a Denominaciones de Origen (DO) in the Murcia region of Spain, growing mostly Monestrell. This is 75% Monastrell and 25% Tempranillo. A firm and flinty wine like this calls for some Steve Earle. How about Telephone Road? It is odd how some wines grow on you. They don’t reveal their virtues on a first meeting. You have to adjust to them. As when meeting a person who speaks a different language, meaning dawns slowly and still without full comprehension. That was my experience with this wine. My first reaction was—PLONK!. But over the course of two days I gradually came around to a qualified enjoyment. I suspect this evolution is in part because inexpensive wines tend to lack definition. 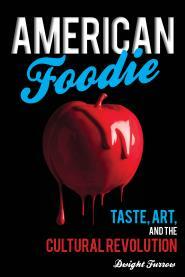 The flavors and aromas are just vague enough to be interesting but not focused enough to be transparent. This wine kept changing on me. Hints of vanilla, pencil lead ,and tobacco with an undercurrent of red cherry and fresh fig make an interesting nose although rather poorly defined. There is some concentration and good depth though marred by a bit of alcohol. Coffee is the dominant flavor note on the palate playing counterpoint to cherry, but the tannins strike the mid-palate early and blend with some sour acidity to create a rough and very dry texture that took some getting used to. However a seam of minerality draws your attention, the rough character settles down and the finish is medium length and satisfying. More rustic than most Riojas but an intriguing wine, very lively and vigorous. Is this the best Rioja I’ve had? No. But a wine that keeps me curious for several days has something going for it. This wine has pedigree. In operation since 1879, The Cune Winery is located in the traditional Rioja Alta region and is one of Spain’s iconic wines. Its 2004 Imperial Rioja Gran Reserva 2004 was named Wine Spectator’s 2013 wine of the year. This Crianza has the elegance and bearing you would expect of a wine with that lineage. “Crianza” is the Spanish quality level designating affordable wines for daily drinking. They must be aged for a minimum of one year in oak, but the oak is usually used oak and thus does not impart strong flavors. Playing to type, the Cune shows restrained red and black fruit. Although lacking intensity on the nose it makes up for it with a good deal of subtlety. Dusty, baked earth, hay, all lightly traced by lovely balsamic notes make this a real charmer. It is similarly modest but full of finesse on the palate. Cherry flavors are draped on a tender, medium body, with gentle tannins supporting an herbal finish. Svelte and endearing, a bit restrained but graceful and well balanced. A perfect wine for a tranquil world, but on the roiling cauldron of planet earth it will remind you of tranquility if you give it some attention. An outstanding bargain. 80% Tempranillo with some Garnacha and Mazuelo. I really like this wine, in part because the image on the label makes we want to hop a plane to Spain but also because this blend of 55% Merlot and 45% Tempranillo is about the best you can do for $5. It is simple but balanced, refreshing, and full of flavor and will enhance a variety of foods. Bright cherry resting on a bed of earth notes on the nose; tart berry flavors and good acidity make for a lively, light-side-of-medium-bodied palate. The short finish has just enough soft, fine-grained tannins to keep your attention. Old world character wrapped in a new world sensibility. From the Penedes region near Barcelona and owned by Freixenet, this is a non-vintage wine so there is no telling how consistent it will be since the blend could change at the winemaker’s whim. But I have consumed several bottles of this over many years and it always has a similar profile. Sometimes a little vanity can be beneficial if it gives someone the confidence to punch above his weight. This $8 prodigy has the swagger of a wine 3 times the price. Of course, I’m in the tank for Mourvedre (called Monestrell in Spain). Maybe I’m letting my preferences interfere with a just assessment, but it has been awhile since I’ve had a cheap wine with this much depth. Black cherry with integrated smoked meat and hints of dill on the nose.The palate begins with ripe fruit but evolves to a very tight focus on licorice that persists through the medium length finish. Dusty tannins provide a layer of texture to carry the flavor forward without becoming distracting. Rugged, serious, and pensive, yet polished and spirited, this is very nicely done with no discernible heat despite the 15% alcohol. Blogging will be light this week while I get the newsletter out. But I did find time yesterday to attend a seminar and tasting of Spanish wines from Castilla/LaMancha. This is the most productive wine region in Spain, but most of it is cheap bulk wine to be exported. So I didn’t know what to expect. But the seminar was headed by Karen McNeill, author of the Wine Bible, and one of the most respected wine educators at work today. This would be time well spent regardless of the wine. The wines tasted at the seminar were mostly Tempranillo and Cabernet Sauvignon. Tempranillo, the dominant Spanish grape, can often have a hard, leathery mouthfeel with pronounced oak, and Cabernet usually has a large frame with significant tannin. When you grow these grapes in the very hot, dry climate of Castilla/La Mancha you would expect very ripe grapes, fruit-driven, with high alcohol, and a big profile. What we tasted was not only excellent; I was surprised by the elegance and velvety mouthfeel of these wines with very muted fruit and lovely earth notes, even in wines that were very young. Karen McNeil’s explanation was interesting and I think important in understanding how our approach to wine will develop in the future. Castilla/LaMancha is exceedingly hot during the daytime, often over 100 degrees. With annual rainfall less than 11 inches and little maritime influence, the vineyards are exposed to intense sunlight throughout the growing season. But Castilla/LaMancha also sits on a high plateau with many vineyard sites 3000 ft. above sea level. As a result the nights are very cool, with temperatures dropping sometimes 50 degrees. The result is that sugar ripening slows down at night because of the low temperatures extending the length of the growing season time and the time it takes the grapes to fully ripen. And this means the tannins and other flavor components of the grape have the time to mature and the grapes can be picked before reaching full sugar ripeness. The result is a wine with moderate alcohol, very soft, fine-grained tannins, and emphasizing earth and minerality rather than fruit. McNeil’s main point was that it is important to distinguish heat from light exposure (what she calls luminosity). High altitude vineyards have the advantage of lots of light exposure while getting a night-time break from the heat resulting in wines of extraordinary elegance. The Cabernet’s were especially surprising, having all the structure you expect from this grape but with the finesse of a pinot noir. If Castilla/LaMancha is able to kick up their marketing game—and this event was well-done and well-attended—expect to hear more from this fascinating regions. And their wines are likely to be a bargain for now since they are very much under the radar. These wines will be hard to find but I enjoyed the following: Villavid Tempranillo 2011, Remordimiento Red 2010, Alloza Reserva 2005, Nuestra Seleccion, 2005, AurumRed Cabernet Sauvignon, 2009, Senorio de Guadianeja Gran Reserva Cabernet, 2004.